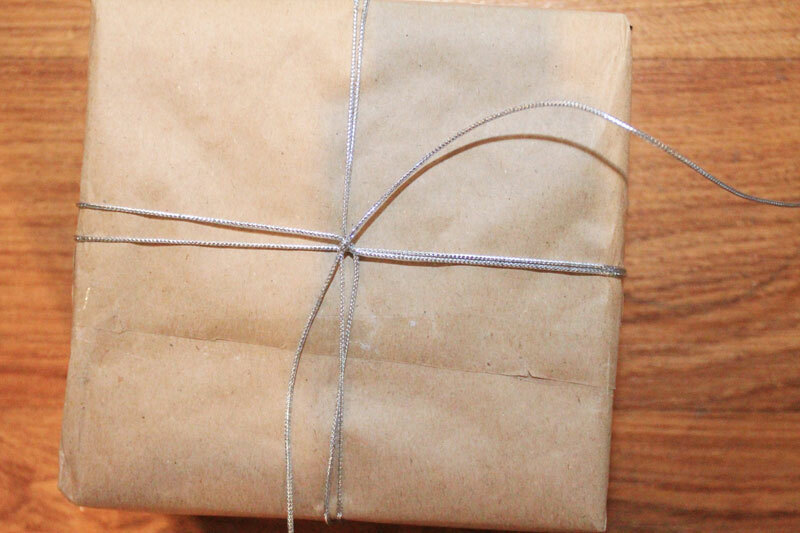 This is truly an improvised DIY Wrapping tutorial. 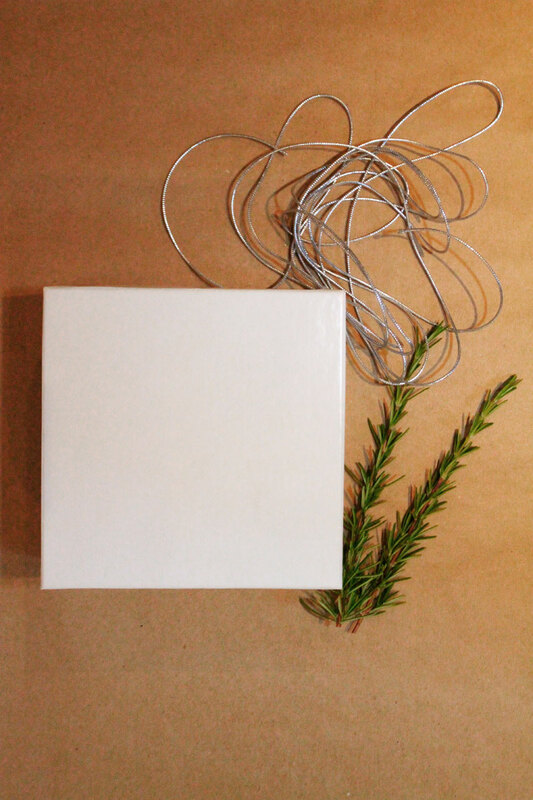 Ideally, you would want to be using fern and green wire to secure, but all I could find was Rosemary and Sticky Tape. That shouldn’t stop one from letting their creativity flow. So with that being said – on with the tutorial! 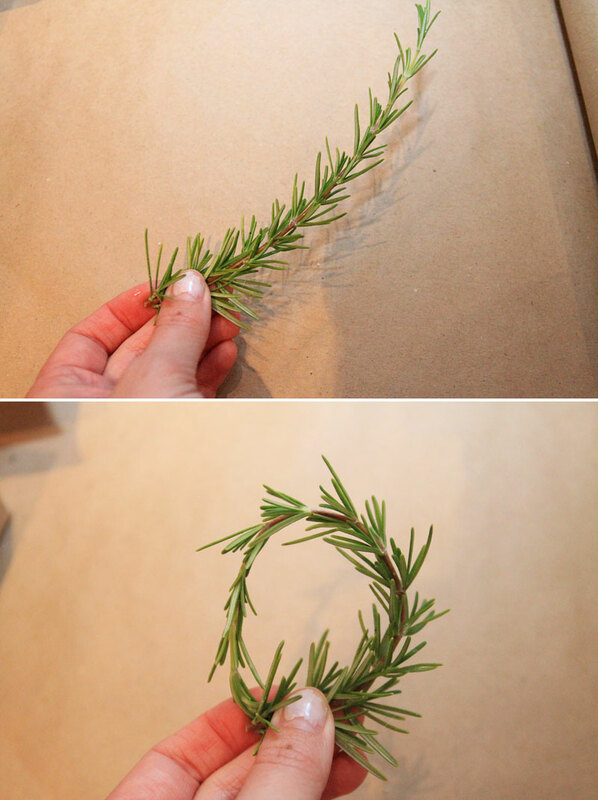 Create your wreath by taking the Rosemary (or Fern) and folding it over on itself so that it becomes circular. Secure with tape or wire. 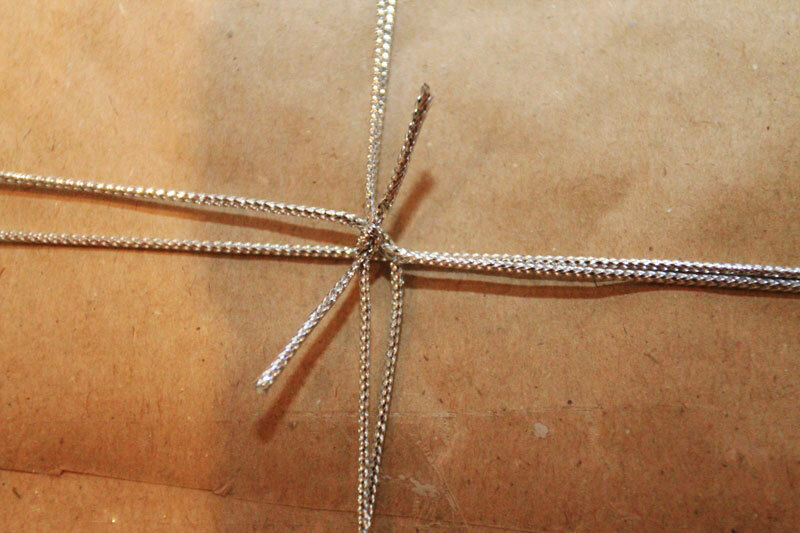 Place the silver twine underneath the gift and bring each side up so that they meet in the centre. Ensure that you measure the lengths of each side to make sure they are the same. 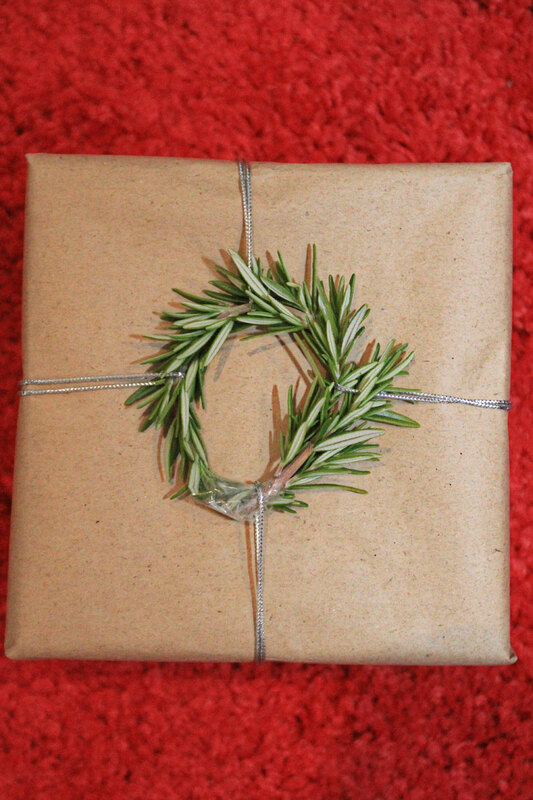 Take the wreath and thread it though the right hand side of silver twine – so that the wreath sits above the twine. 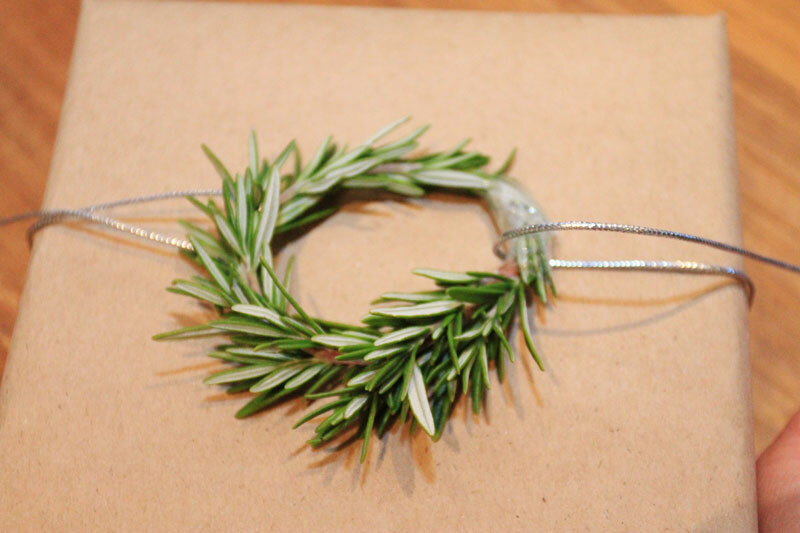 Then fold the silver win back over the wreath so it’s going in the same direction that it came from. Repeat this for the left hand side. Turn the christmas gift upside down so that the wreath is now facing the floor. 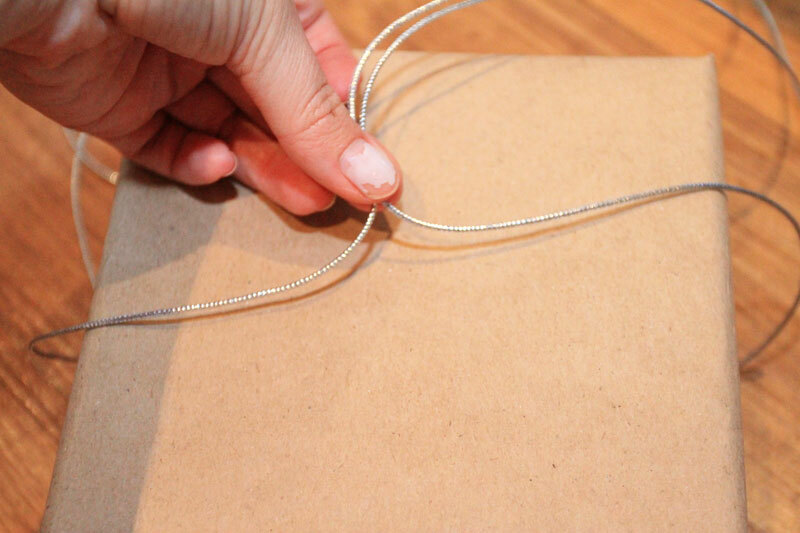 Pull the silver twine tight and cross over the centre of the bottom of the gift so that you can bring twine back to the front on the top and bottom of the gift. 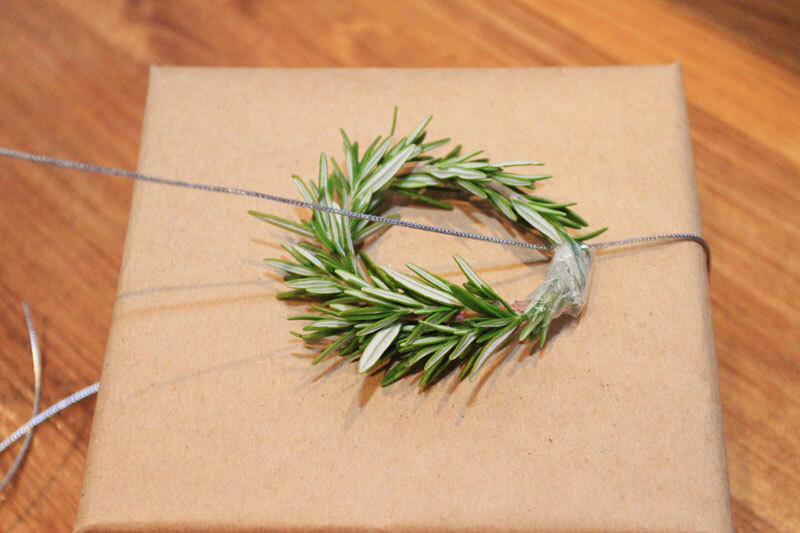 Again, take the wreath and thread it though the (new) right hand side of silver twine – so that the wreath sits above the twine. 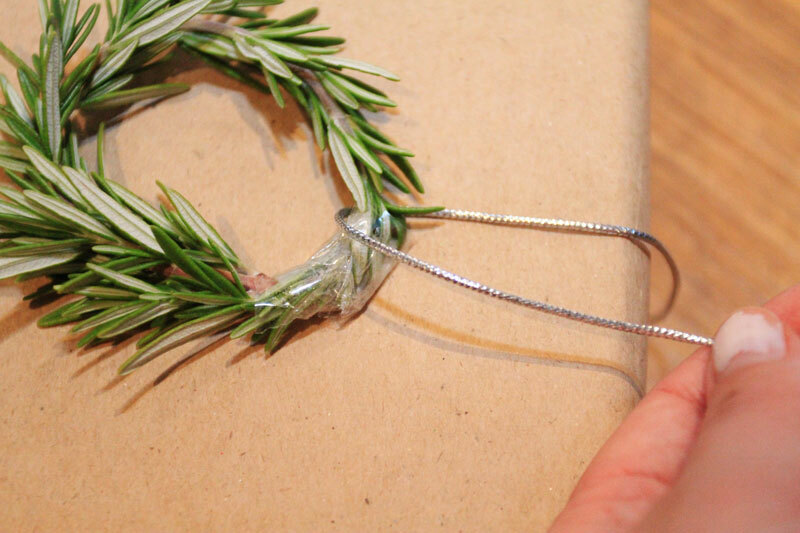 Then fold the silver win back over the wreath so it’s going in the same direction that it came from. 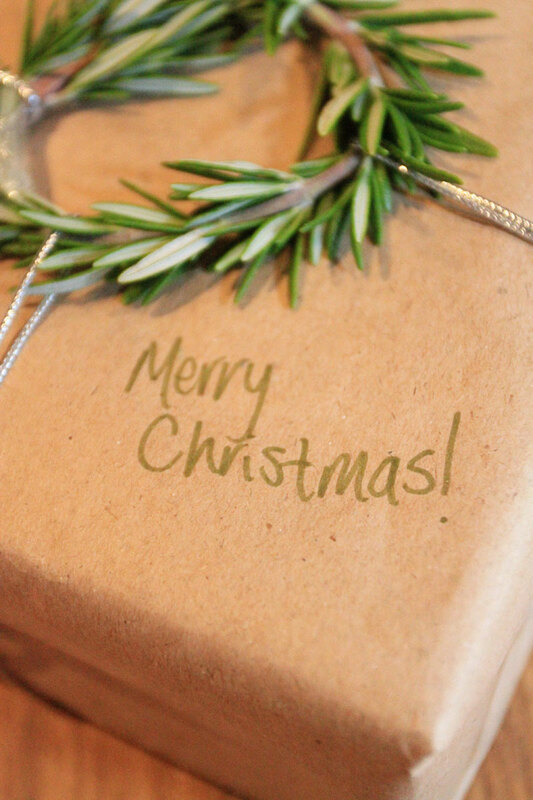 Your twine should now be centred on all four sides of the wreath and gift. 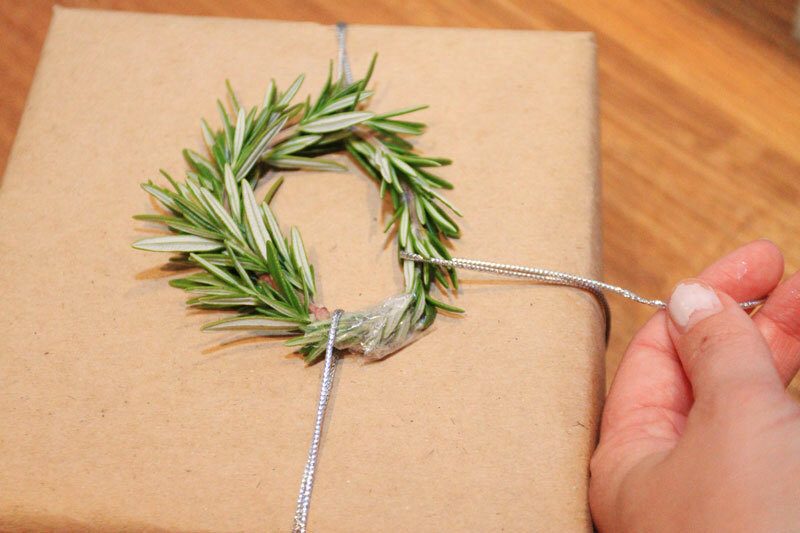 Again, flip the gift so that the wreath is face down and pull the twine so that it’s nice and secure. 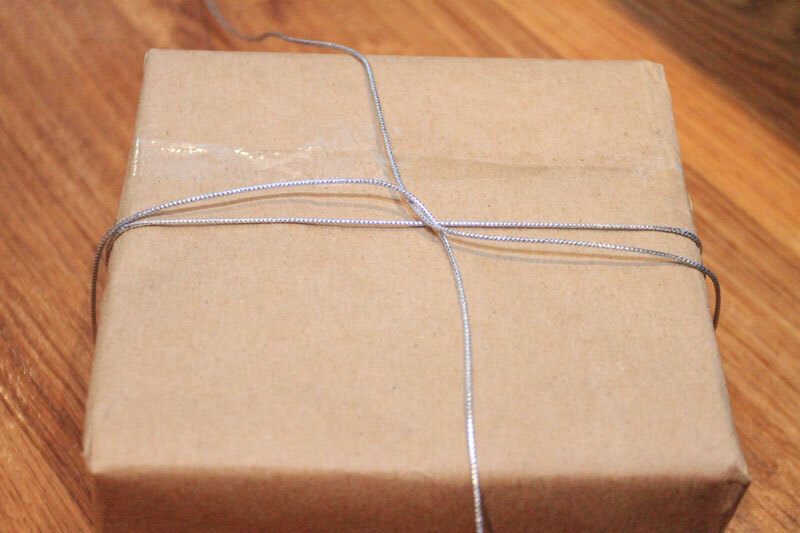 Tie the twine in a knot in the middle of the gift then trim the loose ends so it’s nice and neat.